Add insomnia to the list of self-sabotaging behavior. Tossing and turning, struggling to calm your racing thoughts, and watching the hours crawl by at night . . . Living with insomnia is a lonely and stressful experience. Doesn’t it sometimes feel like you’re being punished for not knowing how to just “let go” and turn off all that mind chatter? If you struggle with insomnia, you know that it’s an internal battle with enormous external consequences. The amount of sleep you get impacts every aspect of your waking life. A restless night can affect how productive you are at work; whether you have the energy to exercise or spend time with friends; and how much patience you have with yourself and the people around you. So yes, insomnia is at the top of the list of self-sabotaging behavior. Insomnia is often attributed to a web of external and biological causes: stress in your professional or personal life, an erratic sleep schedule, lack of exercise, even hormonal imbalances. 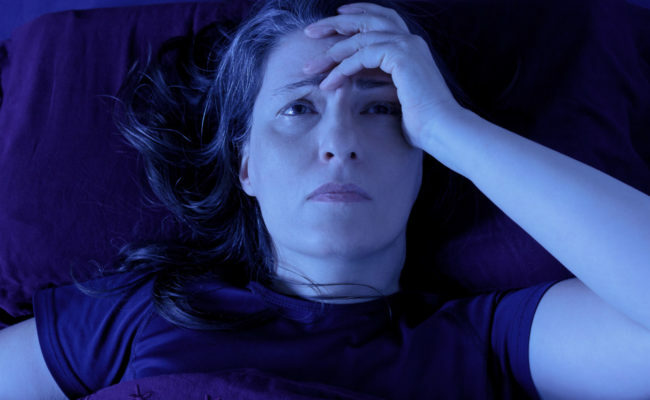 Your sleeplessness may have multiple and complex factors. Here’s something else to consider: maybe none of the above are the real reason why you have difficulty sleeping. All these apparent causes—anxiety, trouble keeping a consistent schedule, an irritated nervous system—are symptoms of a deeper, underlying problem that’s specific to you and how you function in the world. What condition could possibly give rise to so many other apparently unrelated problems? Well, it’s something you non-consciously inflict on yourself. It’s an ingrained way relating to yourself and others. But it’s not a static, passive condition beyond your control—far from it. It’s a habit you can release. What does self-sabotaging behavior really feel like? Self-sabotage can manifest into addiction, depression, and aimlessness. But it may also creep up unexpectedly as perfectionism, obsessive goal-setting, and striving to achieve what you think will make you happy, successful, and loved. This sounds counterintuitive, right? According to many self-help and personal transformation methods, setting and achieving goals is the exact opposite of self-sabotage. Striving for day-to-day success and happiness is called progress, growth, self-love. But not if you’re doing it for the wrong reasons. Do you feel significant anxiety at the end of the day when you haven’t completed the routine or tasks you intended to? Most people don’t have the time in the day to finish what they want to finish, so you’re not alone in this. Do you feel that your entire worth hangs in the balance because you didn’t achieve what you intended to accomplish in a timely manner? This feeling signals a lack of sense of Self. In other words, you’re missing the unshakable inner knowledge that you are worthy of love and belonging. No matter what. If you want to get a good night’s sleep no matter what, the first step is recognizing how and why you’re undermining your best interests. Self-sabotage stems from coping mechanisms you’ve been practicing since childhood. When primary caregivers are unable to allow your authentic sense of Self to thrive, you grow up searching for the approval and acceptance that they didn’t give you unconditionally. Do you remember looking for a “feel good” state that wasn’t, in fact, your natural state? If so, a Substitute Sense of Self likely replaced your true Self. In turn, you may have become highly dependent on external factors to earn the approval of your primary caregiver. That approval made you feel good about yourself. Next, you became dependent on this unsustainable high as a substitute for the missing stable, internal ballast that should have supported you. The continued effort to achieve success sometimes takes you farther away from your authentic Self. As adults, we’re no longer dependent on our caregiver’s approval to thrive emotionally. But if you’ve gotten so deep in the subconscious habit of it, then the addiction to approval still exists. Insomnia robs you of your energy and your peace of mind. Self-sabotaging behavior prevents you from cultivating healthy habits of self-care. On top of that, insomnia destroys your ability to focus, cultivate self-knowledge, and reflect on whether your actions and decisions are in alignment with who you truly are. It starts by realizing what people with a strong sense of Self naturally have, the feelings that you don’t naturally have and have unsuccessfully fought for your entire life. In this way, insomnia is a blessing in disguise—a clue to a state of being of which you may otherwise have remained unaware. Which set of feelings hit close to home for you? If it’s the first set—anxiety, foggy thinking, and low self-confidence, for example—consider that your insomnia may not be the result of exclusively external triggers. Your difficulty sleeping may be a response to an inner battle you’ve been fighting for years. When you’re no longer convinced that the events of the day, positive and negative alike, directly reflect your worth as a person, you’ll be able to move past the crutch of the feelgood state and get the rest you need. So how can you trade in your self-sabotaging behavior for a journey to self-healing? It won’t happen overnight. Sleeping pills are a tempting quick fix but carry health risks and only mask the symptoms of insomnia instead of addressing the cause. Just as the roots of your self-sabotage run deep, so must the solution. Cultivating a healthy sense of Self is ultimately the best tool to overcoming insomnia. A holistic overhaul of your entire self can make all the difference for your self-worth and help you make peace with your life instead of agonizing over what you cannot control. Self-sabotaging behaviors are driven by the lingering remnants of the coping mechanisms you turned to as a child but that no longer serve you. In fact, now these same strategies are preventing you to live life as it was meant to be for you: your own life. So growing into this insight and making appropriate changes takes time and patience. Self-healing takes a lot of inner work. You can help yourself along by practicing self-care. Regular exercise, cutting back on alcohol, and practicing present moment awareness can do wonders. Most of these habits have the added benefit of helping you sleep better naturally so you can consistently focus on releasing the past and discovering your true Self. Creative visualization is another excellent tool for focus and inspiration in your waking life, but it can also help when you have difficulty sleeping. 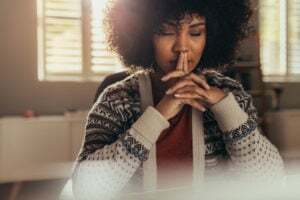 Instead of counting sheep, reliving the previous day’s events, or making a mental list for tomorrow, try visualizing the battle between your true Self and your self-sabotaging self. All of this works wonders, that is, if you can dismantle your inner psychological and emotional stressors. Only then your Authentic Self will become green, alive, flexible, glowing with love and light. Right now ow it may only seem to be a seed buried in your subconscious, but it’s there. Your Substitute Sense of Self is dark red, stiff, and cold, a petrified version of who you once were. Even though it no longer represents who you are and what you’re capable of, it continues to stifle your life. Imagine that these two selves are twisted up in each other . . . And that your Substitute Sense of Self is smothering your natural, true Self. Now, imagine pulling them apart so that your true Self can move freely, grow, and thrive. Letting go of the day’s events is much the same action—a release from the self-sabotage that keeps you from moving forward. Letting go of that “feeling-good-about-self” state at the end of each day is a ritual that helps you nourish yourself. Want to learn more about the relationship between self-sabotaging behavior, insomnia, and your Natural Sense of Self? 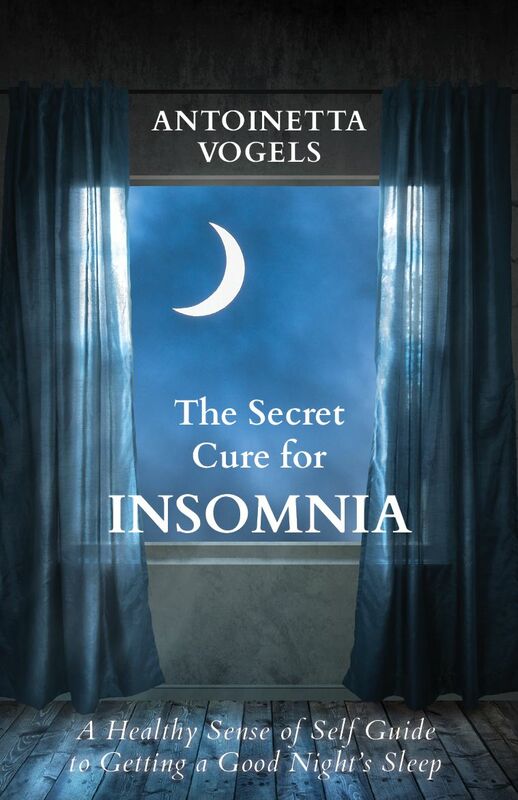 READ THE FIRST CHAPTER OF ANTOINETTA VOGELS’ FORTHCOMING BOOK, THE SECRET CURE FOR INSOMNIA.